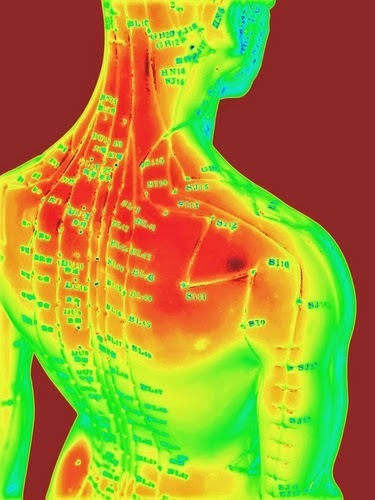 Has Science Finally Confirmed the Existence of Acupuncture Points, Validating Chinese Medicine? The number of acupuncturists, Traditional Chinese Medicinal (TCM) doctors, and complimentary alternative medicine (CAM) patients is growing in the United States, yet mainstream science, medicine and health insurance companies often disregard acupuncture as a legitimate medical treatment. However, it appears that science may finally be able to visually verify the existence of acupuncture points, meridians (vessels within the body that conduct Chi, or life force energy,much like the wires in an electrical circuit), and Chi cavities within the human body. Using a new combination of imaging techniques and CT scans (computerized tomography), researchers have observed concentrated points of microvascular structures that clearly correspond to the map of acupuncture points created by Chinese energy doctors nearly 2000 years ago. 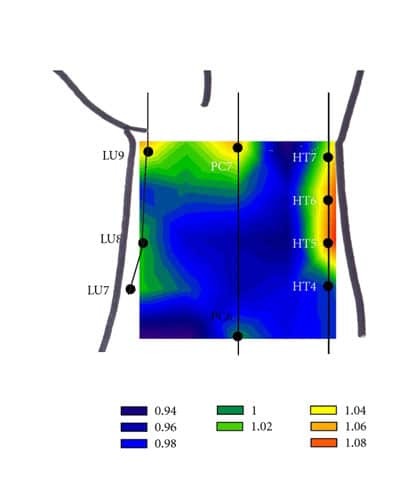 “In this study published in the Journal of Electron Spectroscopy and Related Phenomena, researchers used in-line phase contrast CT imaging with synchrotron radiation on both non-acupuncture points and acupuncture points. The CT scans revealed clear distinctions between the non-acupuncture point and acupuncture point anatomical structures. According to Chinese medicine, life force energy is carried throughout the body in a complex system of vessels called Meridians, and follows the free flow of blood within the body. If the movement of blood is restricted within the body, then so is the movement of life force energy, thereby causing disharmony in the otherwise proper symbiotic functioning of the organs. The physical and esoteric arts of Tai Chi and Qi Gong deliberately work to improve the vascular flow of blood in order to move Chi more freely throughout the body. The effect of which is improved health and immunity, higher energy levels, and improved mental and emotional functioning. This would appear to now be validated scientifically by this research, which concludes that acupuncture points have higher concentrations of micro-vessels near the surface of the skin. 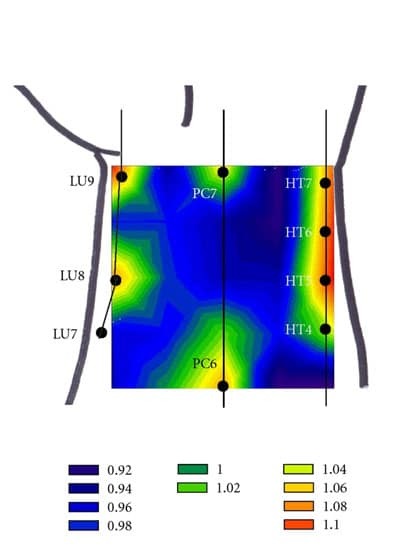 The points do indeed appear to be connected to locations within the body where more blood can be concentrated. This study also identifies some of the major Meridians in the body, which are credited to have been discovered over 2000 years ago during the reign of the mystical Yellow Emporer (Huang Di), who is broadly accepted as the founder of Chinese medicine and acupuncture. This research should provide a boon for complementary alternative medicine, which undoubtedly provides relief and healing to many people, yet is constantly being derided and downplayed by so called ‘skeptics’ and rigid scientists as ‘pseudo-science.’ Many detractors of acupuncture claim that the treatments represent nothing more than elaborate placebos, yet, for those who’ve directly benefitted from TCM or who’ve committed themselves to the practices of the Chinese energetic arts there really is no dependency on Western science for validation of the effectiveness of TCM. Buck Rogers is the earth bound incarnation of that familiar part of our timeless cosmic selves, the rebel within. He is a surfer of ideals and meditates often on the promise of happiness in a world battered by the angry seas of human thoughtlessness. He is a staff writer for WakingTimes.com, where this article was originally featured.